Following an announcement that the Master Chief Collection is coming to PC, fans banded together to send countless pizzas to 343 Industries that started as a fun joke relating to a Reddit thread. Now, 343 Industries is giving a gift back to players by releasing the “Last Slice” pizza skin for Halo 5. 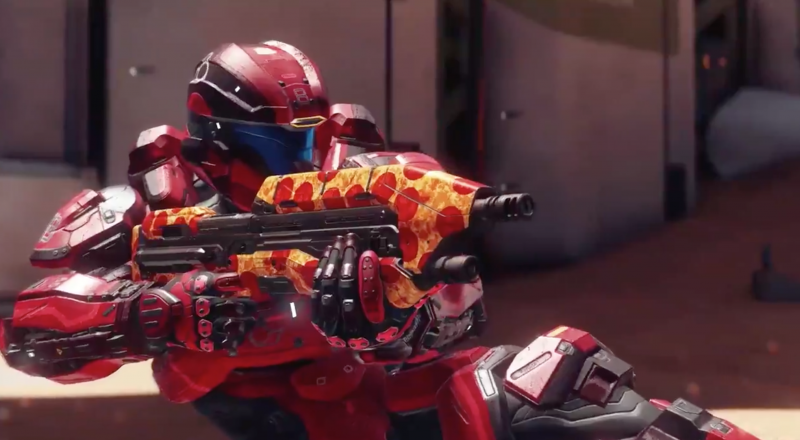 Everyone who plays online today in Halo 5 will receive a free pepperoni pizza skin. You can view the tweet from 343 Industries about it below. Read our glowing review for the Master Chief Collection by heading here.